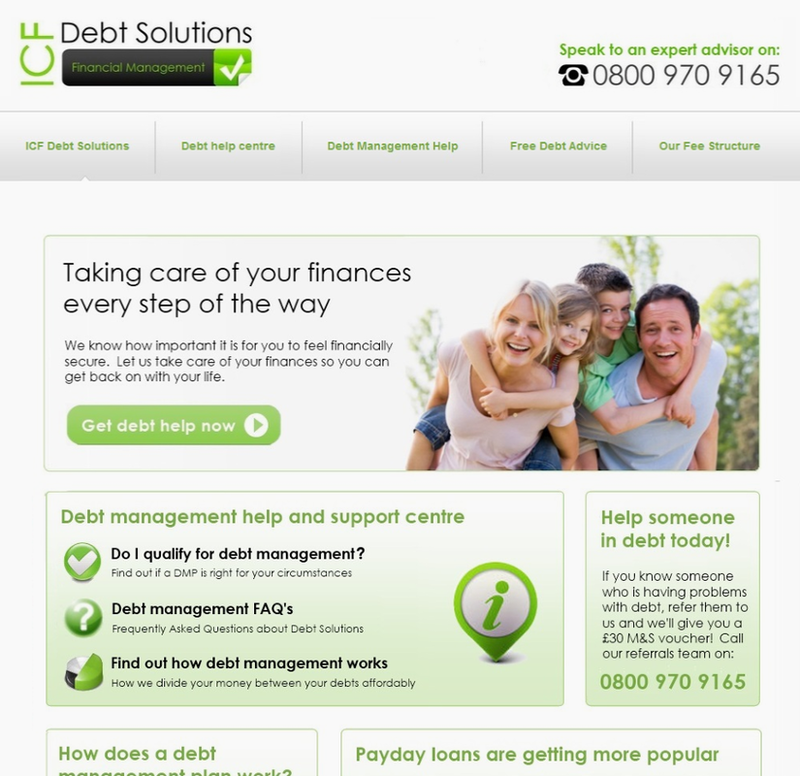 ICF Debt Solutions offer debt management plans to UK residents who are experiencing problems with unsecured debts, such as credit card, payday loan and bank debts. ICF Debt Solutions wanted a website that could be easily navigated by their clients and attractive enough to engage and keep the web visitors. Spanning over 100 different web pages, ICF Debt Solutions wanted to give their web visitors the ability to research different creditors in the UK.